Howlround are hereby deeply proud and very excited to be officially announcing the release of our third album Torridon Gate on cult blog and record label A Year In The Country! Today’s post is in entirely black and white in tribute to their stark and arresting sense of aesthetics – and arrives only a full week after the album actually came out, but I think you’re about ready by now. Gate Owners Tony & Kath with the Torridon Sessions master tape. We actually recorded almost an hour of new material – including around the house – but it’s only fair they should have SOME exclusive work for themselves! 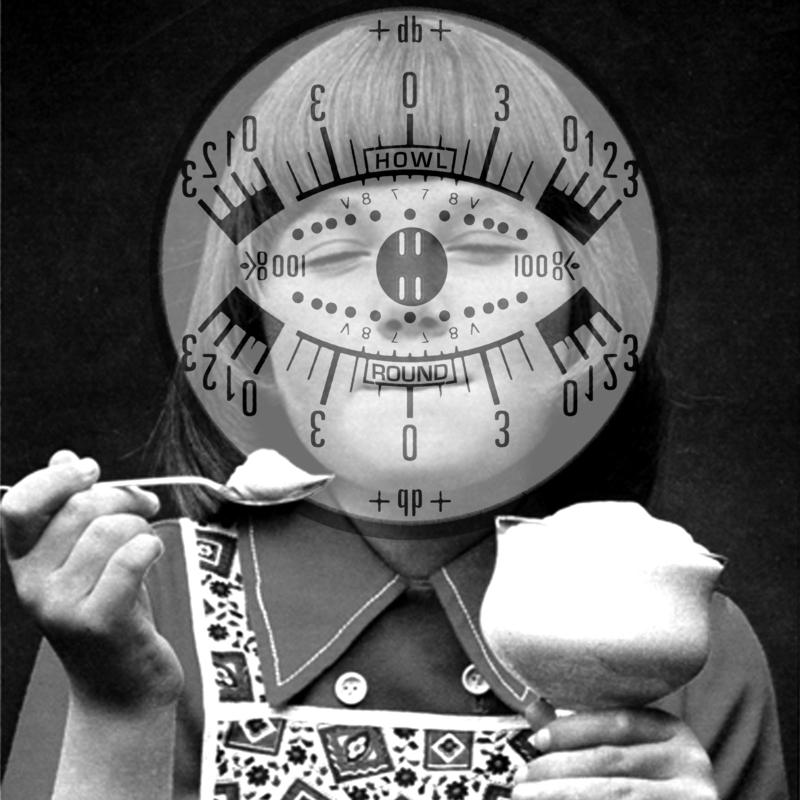 The project started life as a prize on Resonance FM‘s most recent annual fundraiser, but quickly spiralled upwards and outwards. Perhaps you remember our ‘Howlround’s Home Haunting‘ auction item back in February, where we offered to provide a unique sonic portrait of the dwelling place of the highest bidder? 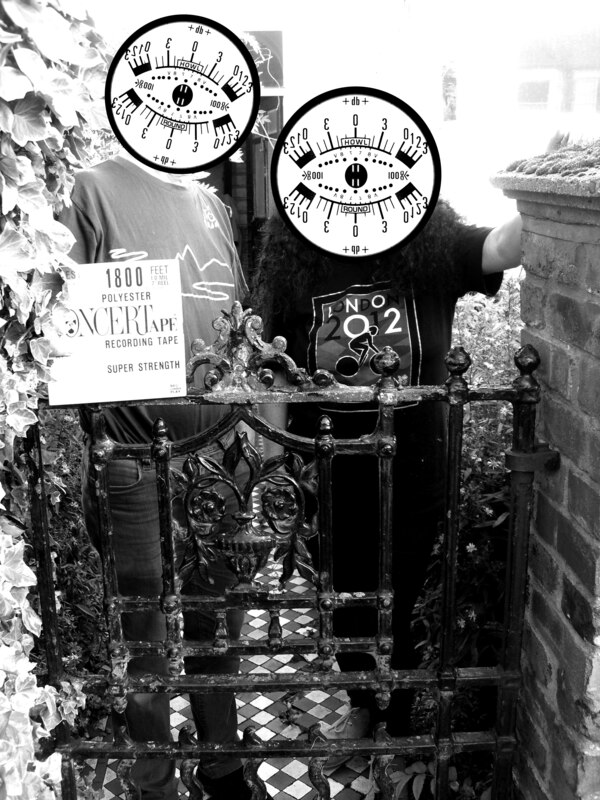 Well, our thanks and gratitude must go to gate-owners Tony Alpe and Kathryn Everett, not only for a very generous winning bid (every penny of which went towards keeping Resonance on air, of course), but also for allowing us to share the results! ‘The gate was one of the things that attracted us to the house in the first place!’ says Tony, and hopefully after listening to this album you’ll join me in fully concurring with this statement! 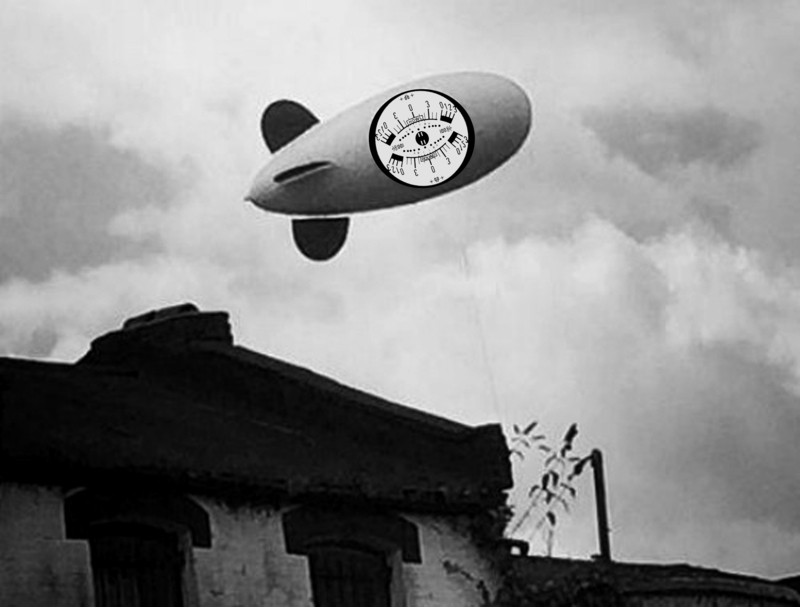 The widely-reported appearance of a giant dirigible emblazoned with Howlround’s distinctive logo above London’s fashionable Hither Green district was the first indication that an album of earth-shattering significance was, as they say, ‘about to drop’. And the hiss of escaping air caused by a leaky valve some twenty minutes later was the first indication that life was about to imitate art. Profuse apologies if that was your greenhouse. Secret solid gold copies of ‘Torridon Gate were hidden in Ironmongeries in five major cities across the world (including Barrow-in-Furness). Each copy contained two or three different numbers scratched directly onto the disc, and it is rumoured that when combined in the correct order, the full set of these numbers would allow the finder to make nuisance calls to Howlround member Chris Weaver. Luckily for him, only two have surfaced to date, one of which recently sold online for well over $1,000. The album was mastered by the brilliant James Edward Barker of Veneration Music, recording engineer, genius musician and the composer of the soundtrack to the notoriously unwatchable and completely-banned-forever video nasty Human Centipede 2. He was paid for his superb mastering efforts by having a large consignment of Butterscotch Flavour Angel Delight delivered to his house. I admit, it’s tricky – they all just sound so entirely likely, don’t they? So, after months of labouring away in secret, here it is. Available now in a series of four beautiful limited editions from A Year In The Country, the label and blog that has developed a cult following through its continuous ‘searching for an expression of an underlying unsettledness to the English bucolic countryside dream’. Each edition – Night, Day, Dawn and Dusk – comes with a selection of unique hand-finished artwork and packaging, while the Night edition also includes a selection of badges, sections of the original tape loops used to make the album and more. All are available now from AYITC’s ‘Artefacts Shop’ with a download also available for those who no longer meddle with discs. We’re really proud of this one and hope you’ll like it too!